The Sunda or Bornean Clouded Leopard was only identified to science in 2006, when genetic research indicated they were a separate species from the mainland Clouded Leopard Neofelis nebulosa. They have been separated from the mainland population for 2.8 million years. 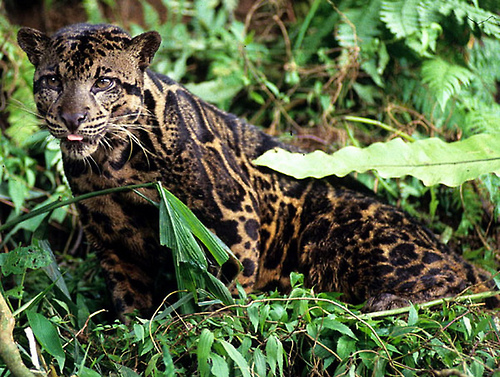 “The Sunda clouded leopard is probably restricted to the Indonesian islands of Borneo and Sumatra. In Borneo, they occur in lowland rainforest, and at lower density, in logged forest.” Read more at Wikipedia and WWF, and check out our rare sighting of an African leopard on the African Wildlife Live Cam this week! Learn how to buy a car with great discount. Nhà 2 t?ng m?t ti?n 15 Võ Nguyên Giáp, Hu? Oppo F3 Gold 100% BH 12th Nguyên sale chÆ°a acti ? Sir David Jason & Nicholas Lyndhursts Net Worth Has Been Revealed  Wow! Invest in the most profitable cryptocurrency coins today. The best ways to get started in the cryptocurrency market today. Crazy Bulk Review 2018: Does It Work? Instagram's Top 9: Is it a Complete Waste of Time?